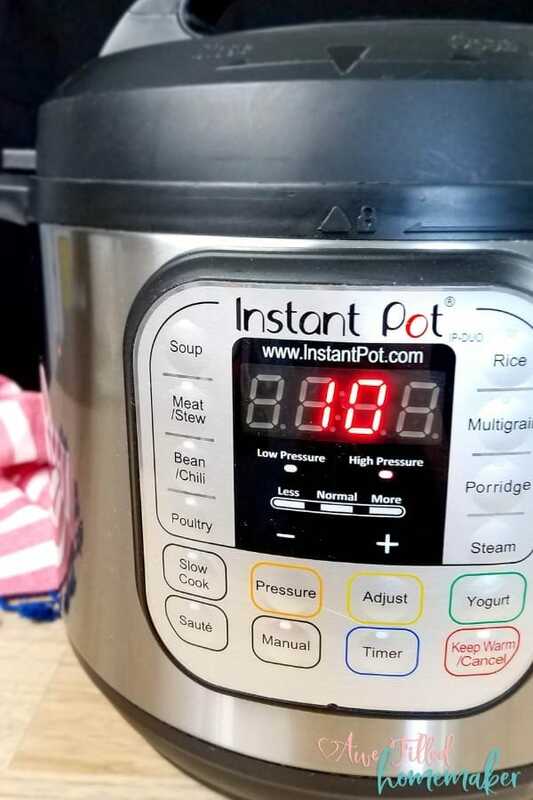 I’ve yet to create a recipe for my Instant Pot that I haven’t fallen head over heels in love with. 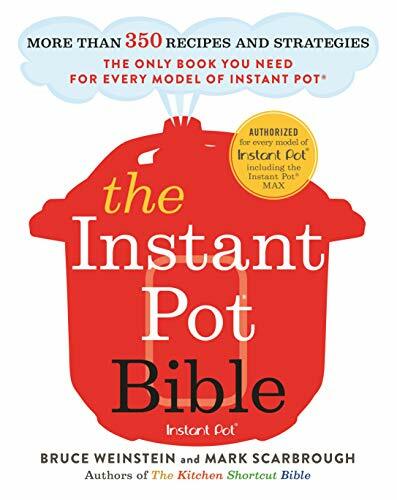 (You guys know that I have many, many Instant Pots, right?!) At any given point in time, I’ll be cooking chicken, beef, pork, desserts, you name it. 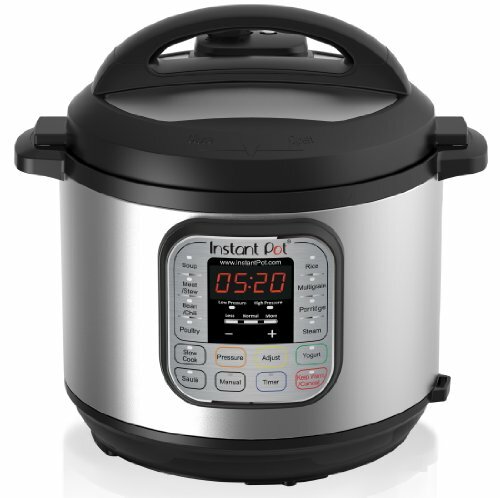 I honestly feel like there’s nothing that my Instant Pot can’t conquer. 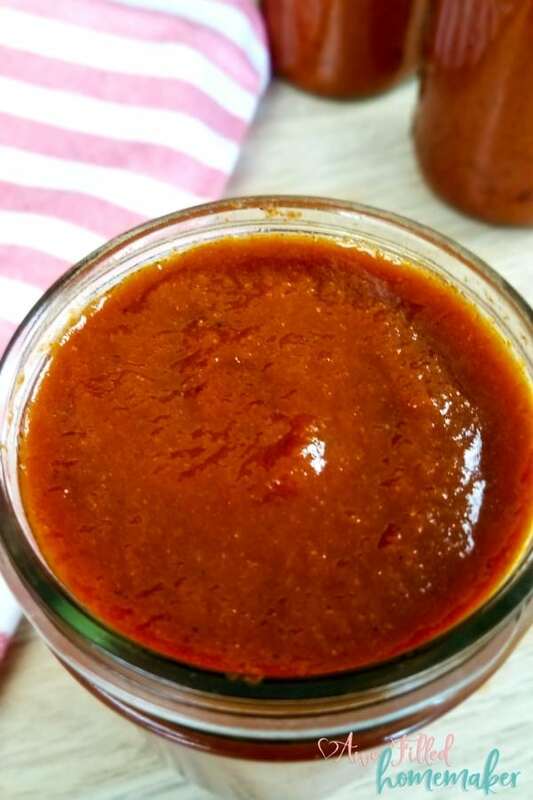 What I love most about this Instant Pot Barbecue Sauce is that it literally tastes amazing on EVERYTHING. I’m talking finger-linking good. You can use it to cover your hot wings or have it as a side to dip in your chicken bites. Did I mention this sauce is versatile? I learned from my husband that everyone’s taste buds are different when it comes to bbq sauce. He often makes his own and criticizes the sauce bought from the shelf. I’ve won him over with this sauce. The sweetness from the added honey and the kick from the cayenne pepper satisfied his stringent taste buds. Plus, it’s just a great feeling knowing what’s in it since you get to make it yourself in your Instant Pot. One of my biggest pet peeves when I go to the store is that most items on the shelf are chocked full of words I can’t pronounce. But when I make my own Instant Pot BBQ sauce, I can pronounce everything in it. 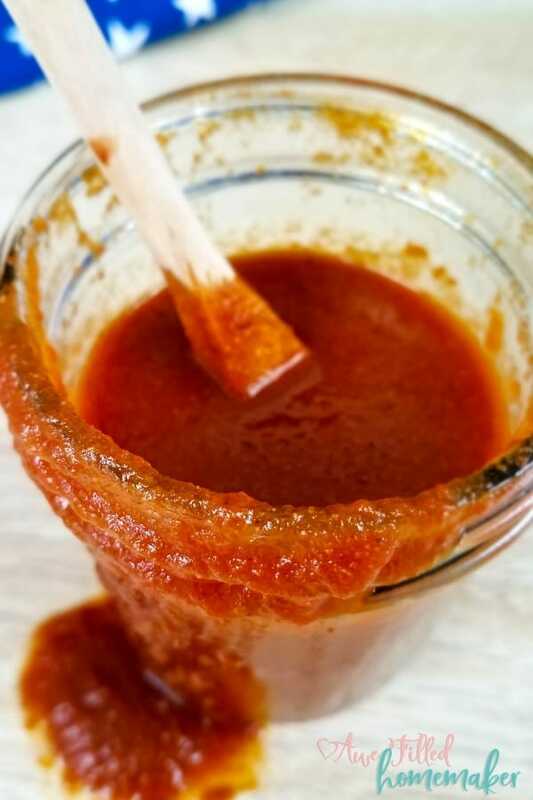 Do you use unsalted or salted butter with this Instant Pot BBQ sauce recipe? As the recipe is written below, I would say it’s probably better to use unsalted butter. Since you’re adding in celery salt and garlic salt already, you don’t want to take it over the top and make it too salty by adding in even more salt. If you use unsalted butter and taste it after you’ve finished and feel that it needs more salt, you can always add it in. Can you use sugar instead of honey for this recipe? Great question. I’ve honestly never used sugar instead of honey. I would imagine it would be fine to do so, but the taste may vary a bit. Also, using honey is one of the ways to get that “tacky” bbq sauce, so keep that in mind. Also- natural honey IS very healthy for you! 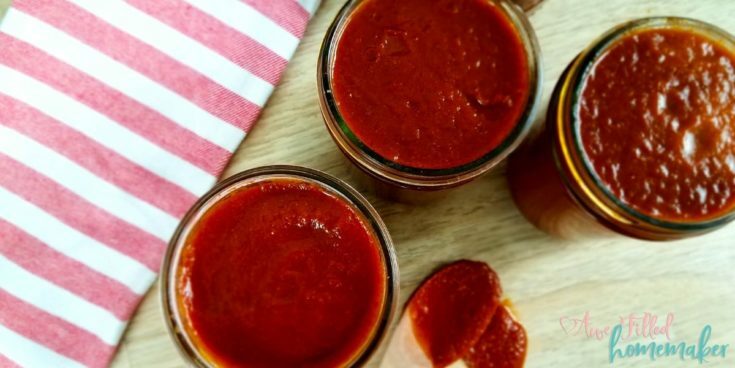 What can I use instead of store-bought tomato sauce? 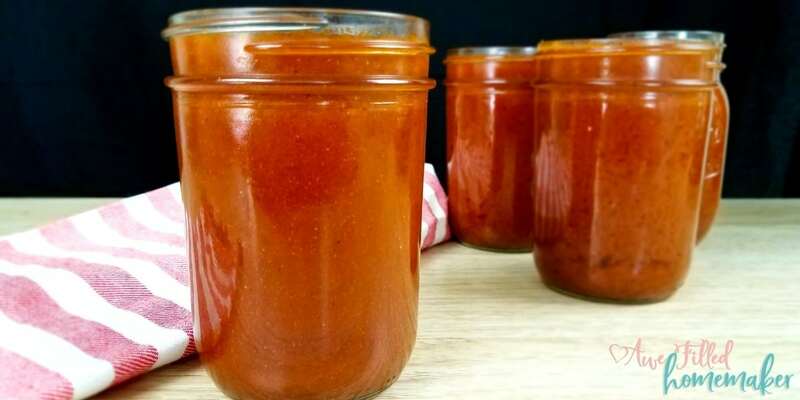 If you don’t want to use tomato sauce from a can or jar, you can make your own from your own homegrown tomatoes if you have them. Find a tomato sauce recipe and create! Garden grown tomatoes are the absolute best tomatoes because they’re seriously so good! 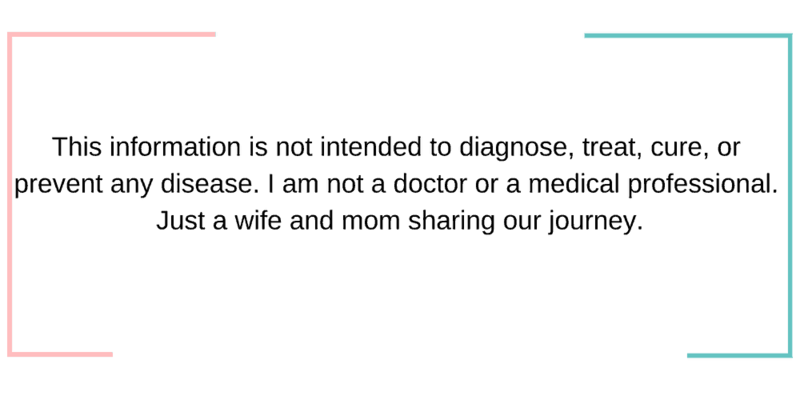 It will add a few steps to your recipe process, but I can assure you the flavor will be stellar! Ready for the recipe? 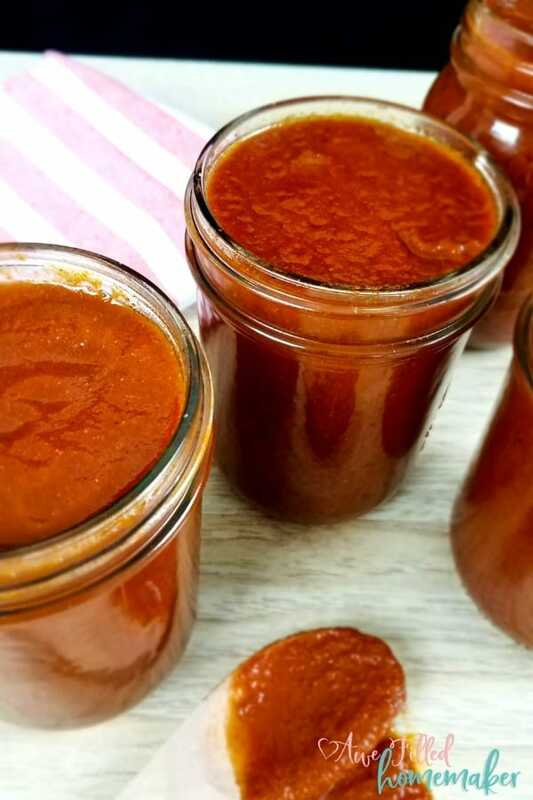 With grilling season right around the corner, you can bet that this barbecue sauce recipe is going to be your new favorite! 1) In a large bowl, whisk together all your ingredients. Be sure to melt the butter in the microwave before adding it to the BBQ sauce. 2) Pour the sauce into 4 pint-sized canning jars. The wide mouth jars work the best. Do not add the lids. 3) Add 2 cups of water in the bottom of the Instant Pot insert and place the trivet at the bottom. Carefully place the jar of BBQ sauce on the trivet. 4) Close the lid and turn the pressure valve to sealing. Cook the sauce on high pressure using the manual setting for 10 minutes. Let the pressure release naturally. 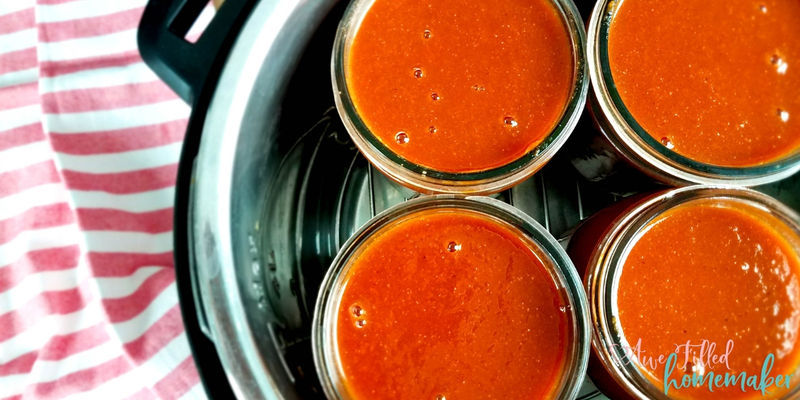 5) Carefully remove the jars of sauce from the Instant Pot using a pot lifter, can lifter, kitchen towel, or something else that keep you from getting burned by the hot jars. Let the jars cool to room temperature on the counter before adding the lid. Store in the refrigerator for up to 2 weeks. Note: This recipe can be easily cut in half if you don’t use a lot of BBQ sauce in your dishes. I made a large batch to use on various other recipes you will see coming up very soon on the site. We also just love BBQ sauce and like to keep it on hand at all times. And there you have it. 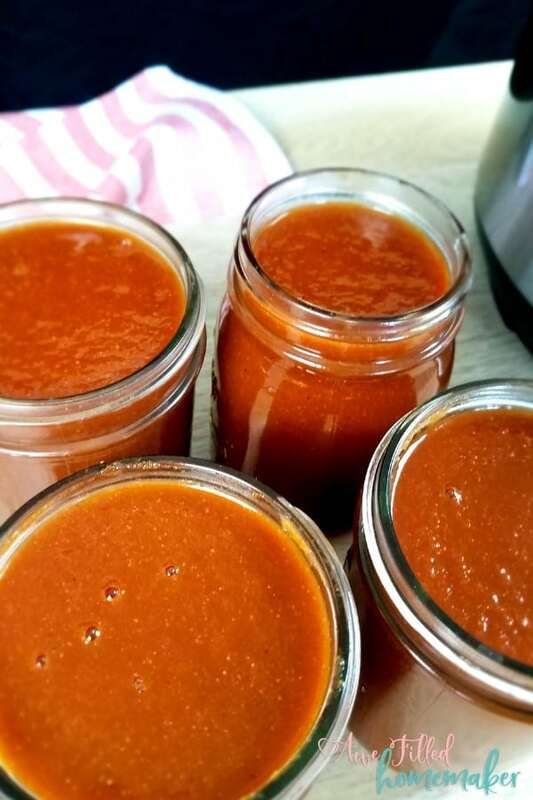 Your very own, homemade Instant Pot barbecue sauce. Good enough to use on anything! Cook up some chicken, some pork, some beef, and lather it on! 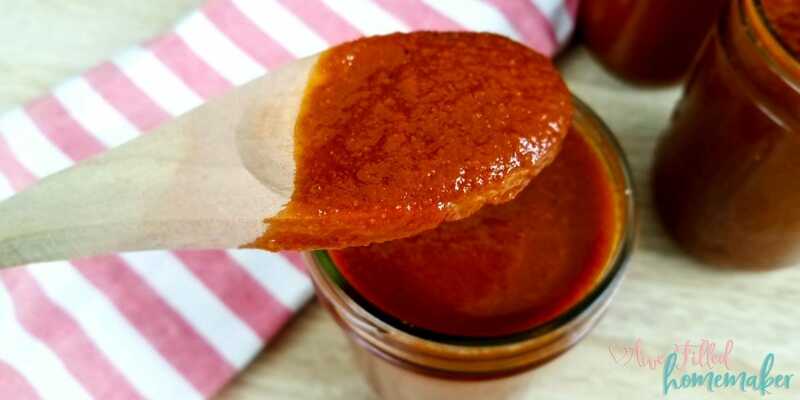 You’ll fall in love with the taste and flavor of this delicious homemade barbecue sauce! 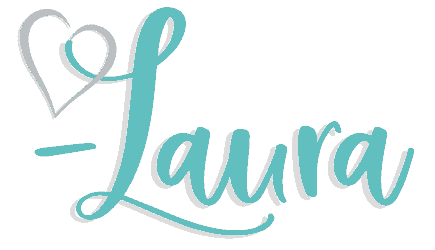 It is hubby tested and approved! 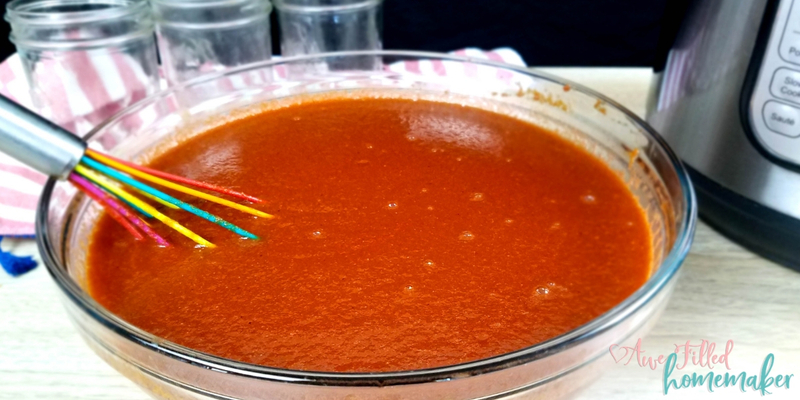 Have you ever made your own Instant Pot Barbecue Sauce before? Also- Don’t Forget To Print Out The Recipe For Later! Look at the back of the ingredients list on your favorite brand of condiments. Honestly some of the words listed can't even be pronounced. 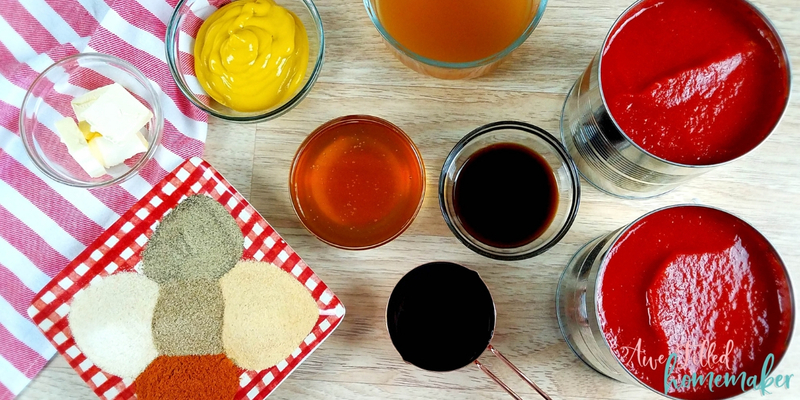 So why not just make your own, such as the best instant pot barbecue sauce? 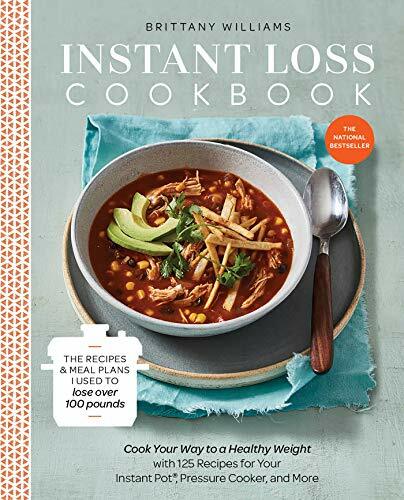 It is delicious and easy to make in your instant pot! 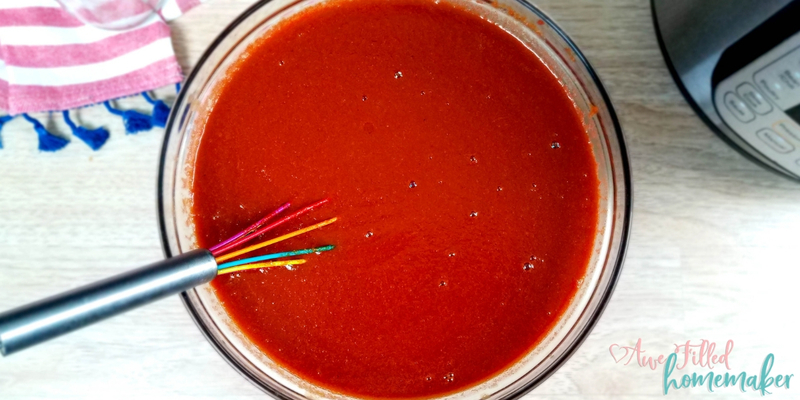 1) In a large bowl whisk together all your ingredients, be sure to melt the butter in the microwave before adding it to the BBQ sauce. 2) Next pour the sauce into 4 pint sized canning jars. The wide mouth jars work the best. Do not add the lids. 3) Add 2 cups water the bottom of the Instant Pot insert and place the trivet at the bottom. Carefully place the jar of BBQ sauce on the trivet. 5) Carefully remove the jars of sauce from the Instant Pot using a pot lifter, can lifter, kitchen towel, etc. Let the jars cool to room temperature on the counter before adding the lid. Store the refrigerator for up to 2 weeks. 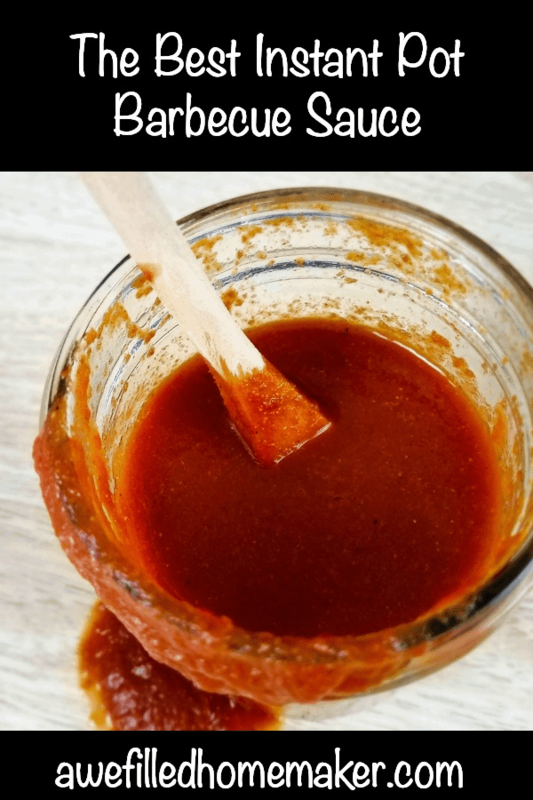 This recipe can be easily cut in half if you don't use a lot of BBQ sauce for grilling or over the summer.